Eric Chahi, the creative director for the game, posted a statement introducing the game on PlayStation’s Blog, the same day. 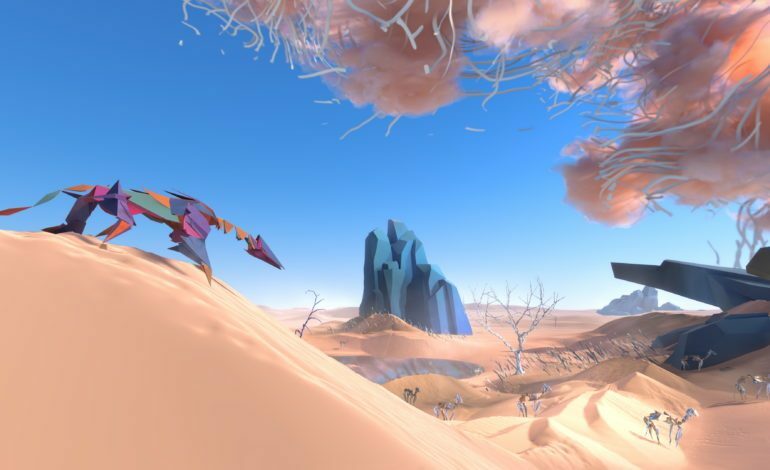 Paper Beast invites players to embark on an adventure into a unique, virtual world filled with new environments, undiscovered creatures, and the freedom to choose how you interact with it all. Similar to his previous title, Another World, Chahi states that the game will include no dialogue. Everything in this digital universe responds to the actions of the player, including the narrative. Your behaviors towards the animals will dictate the types of bonds you form with them, or possibly lack of. Paper Beast has stunning graphics, beautiful landscapes, and exotic looking creatures. The team at Pixel Reef aims to make the game as immersive as possible, focusing heavily on sound quality. No official release date has been decided yet, however, Chahi plans to launch his first ever VR game later this year. Paper Beast is expected to be available for PlayStation VR and PlayStation 4. For more information on the game, be sure to check out the official PlayStation page here. We’ll keep you updated on the progress as news is released.